Xenoblade Chronicles 2 was a game that, upon announcement, made me extremely excited for the Switch. The fact that the game was revealed before the system’s launch meant that there was an epic JRPG to look forward to in the near future, and the anime-esc art style was beautiful to behold. Unfortunately, take three of getting into the Xenoblade series was yet another failure. .On paper, Xenoblade Chronicles should be a game I absolutely adore. The RPG genre is among my favourite in gaming, with JRPGs dominating my all-time favourite games. Xenoblade Chronicles is clearly an extremely well-made JRPG, with a polished sheen you can see a mile away. Next up, you have the visual style, which has gone from charmingly ugly to anime gold. With the original game, along with X, the characters were hideous sub-human looking beasts. This had me fall in love with the look of those games, the same way a person may adore a pug. As for the environments though, they have always shined, with some epic areas to explore. Then we have the story. What a tale these games tell. A lot of love, thought and care obviously goes into not only the story, but the characters personalities and interactions. The games do an excellent job of world-building, setting up places oozing with mystery and intrigue to explore as you progress through their epic tales. With all of this praise, it is no wonder I get excited for each entry into the series. I also have fond memories of playing the series that preceded it, Xenogears. Well, of what I remember of Xenogears anyway, as I have not touched the original game since near its release. Taking all of this into account then, why is it that I do not enjoy playing these games? Why is it that I end up realising 30 or so hours in that I am having zero fun, and want to do nothing more than drop the game like a hot sock? If I love the setting, character, world, story and art design, then what else is there? It turns out the act of actually playing the Xenoblade Chronicles series has been something I absolutely despise. Starting with the little things that are easier to overlook, the mission tracking and how they are presented is quite poor. It can get pretty unwieldy to take on multiple side quests, and makes things difficult to keep track of. They also consist mostly of boring fetch quests that are a necessary chore you do to gain experience. The way you upgrade your attacks, weapons, abilities etc. is always convoluted in a way that is a real pain in the neck to do each time. Not only that, it is always a time consuming affair, and sometimes has an element of randomness added in to really up the frustration level. For an example, in the first game, to upgrade your skills, levelling up would only get you so far. Individual skills max out at 10 upgrades, but you can only level them up initially to the fourth stage. You then need to buy books which allow you to upgrade those skills further, but those books are sold by specific vendors in specific areas, and each characters skill books are sold in different places. Each skill book only ups the amount you can upgrade a skill by two stages as well, and they are extremely expensive, requiring you to grind for cash just to upgrade your skills in this rather arbitrary way. Another example from the first game, when you want to upgrade a weapon with gems, you can easily slot them in and out of your weapon which is great. The problem though is that if you want powerful gems, you will need to craft them yourself. Crafting these gems requires you to quick travel back to the starting town, then partake in a rather dull mini-game that has some random elements of chance baked in to make the whole thing a time consuming and potentially frustrating affair. And now the big turn off; I absolutely loathe the combat system. The auto-attack, cooldown nature of the combat system reminds me of an MMO, albeit slightly more involved. Team attacks definitely add more strategy than an MMO, as well as where you place yourself on the battlefield in relation to your enemy. My main reason for not liking this system is that it feels like it rides two sides of a coin without committing to either, which hampers the combat overall. It is not involved enough to keep me engaged or enjoy what I am doing within the battles, yet it isn’t automatic enough that I can set my battle strategy and let the game go ala Final Fantasy XII. The battles also drag on way longer than they need to. Boss battles are an exception, as they should be epic experiences that test your skills, pushing you to your limits, but when you are grinding in the field and basic enemies can take a few minutes to kill for minor experience, it just feels like busy work. Although the Xenoblade Chronicles series is one that I should adore, I just can’t get over its battle system. Couple that with the way the game doesn’t seem to respect your time, forcing you to do trivial busy work for things that other RPGs have streamlined over a decade ago, and the games have had me bounce straight off of them every time. 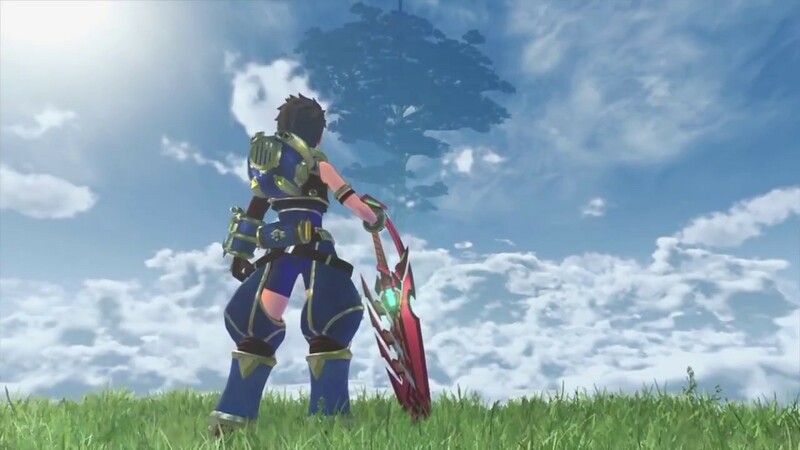 When a new Xenoblade Chronicles game comes out, I will again be excited, hoping that this one will be the one that hooks me, but as it stands now, my enjoyment is hampered by a battle system I just can’t enjoy.